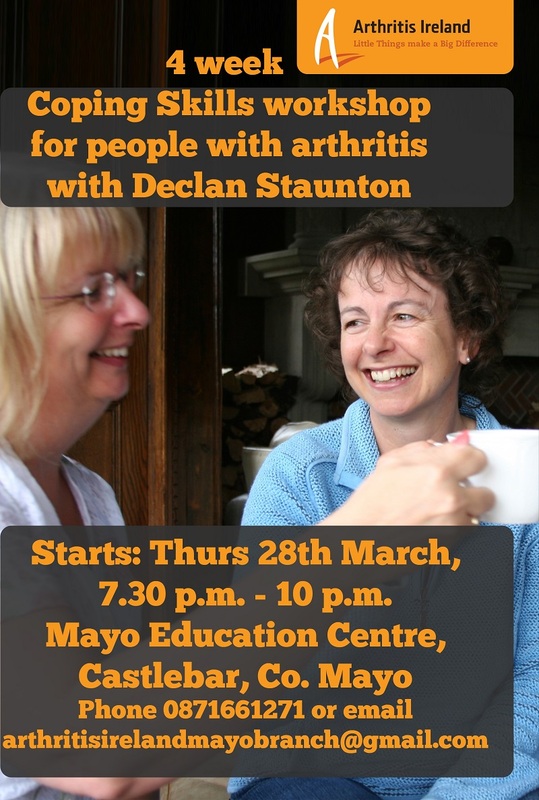 Coping Skills workshop for people with Arthritis and Fibromyalgia. The course shows people diagnosed and living with a lifelong incurable condition the tools and techniques to cope and live a better quality of life. During the course your will learn how to deal with negative emotions, communication skills, positive self-talk, cogitative behaviourally techniques, mindfulness, meditation and relaxation techniques to help manage pain and fatigue. Arthritis Ireland Mayo Branch Celebrating 25th Anniversary in 2019. 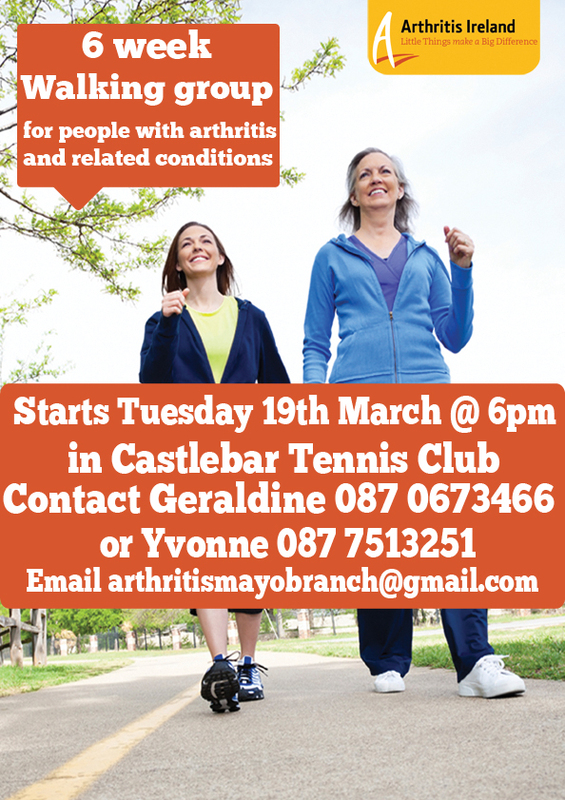 100 different types of Arthritis living in Ireland today.